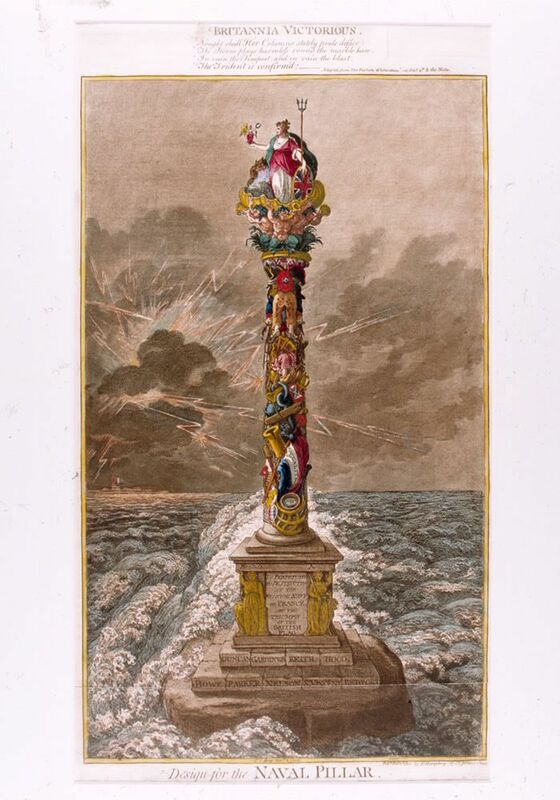 Coloured etching, dated 1st February 1800, being a design for a naval pillar to celebrate the victories against France in the late eighteenth century. Britannia is pictured sitting on top of a column made up of various maritime objects. At the bottom are two small figures that represent Fortitude and Justice and beneath these are the names of the Admirals who led the battles. It is set against a turbulent sea with lightning cracking overhead. Inscription at the top. This Design for the Naval Pillar Art Print is created using state of the art, industry leading Digital printers. The result - a stunning reproduction at an affordable price.